Though the content of the site is mostly automated, we are still always on the look out for one-off and regular donations. This is so that we can develop the tools further, troubleshoot any glitches that come up, keep our plug-ins up to date - while also keeping the services we provide to change-makers free of charge. We believe that when we are better connected, and able to share resources, we can overcome collective challenges and make our movement stronger, louder and more powerful. 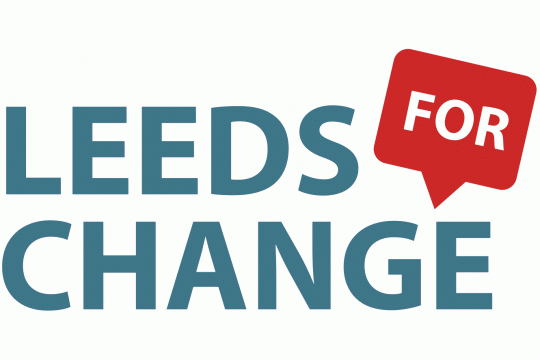 Leeds for Change is an online platform that helps its members find venues, events, information, groups and people in Leeds who work towards shared values of solidarity, equality and justice. Leeds for Change is an online activist hub which provides free tools to help you make the change you want to see in Leeds. The toolbox includes: an automated activist calendar (that pulls events from Facebook), an automated bimonthly events newsletter, a venue finder tool, resources and a database of groups and causes you can join.